December 2018 - Comer Construction, Inc. Archive | Comer Construction, Inc. This anniversary is an extra special one for our Comer Family. On this final day of 2018, we find it fitting to not only celebrate Fred's 35th year here with us at Comer Construction, but also to recognize him as the employee who has the longest career with the company. During his 3+ decades with us, Fred has served in several roles, including laborer, truck driver and foreman. Currently, Fred serves as a Fleet Manger and manages all Fleet Operations for the company, including maintenance and oversight of the day-to-day supervision of truck drivers. 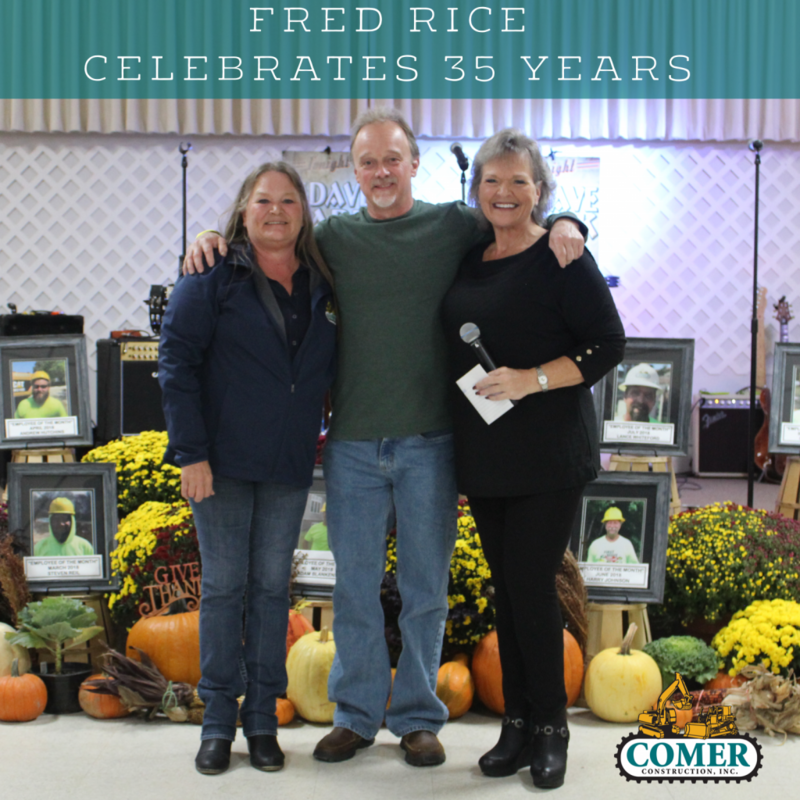 Fred, we truly appreciate you and your loyalty to Comer Construction. Congrats on 35 years and thank you for all your hard work over the years. 30 Years! Wowza! 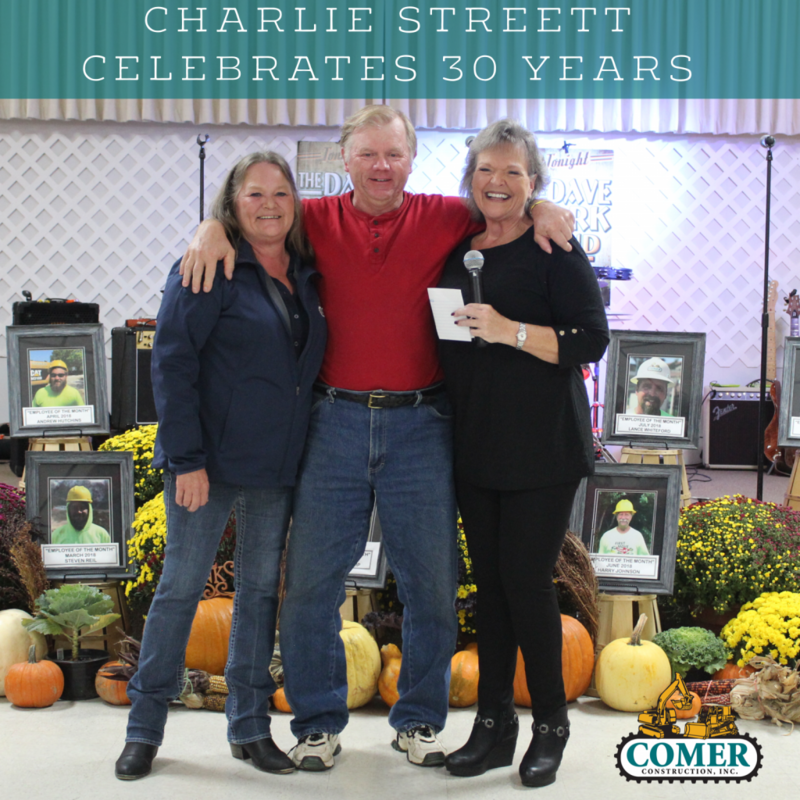 Thank you, Charlie, for 30 exceptional years with Comer Construction. Charlie is a very dedicated and hard-working Pipelayer, always giving 110% each day. We are so thankful for your three decades of dedication and loyalty. Thank you, Charlie! It's almost the end of the year, but that's not going to stop us from celebrating all the milestone anniversaries of our longest-standing employees! 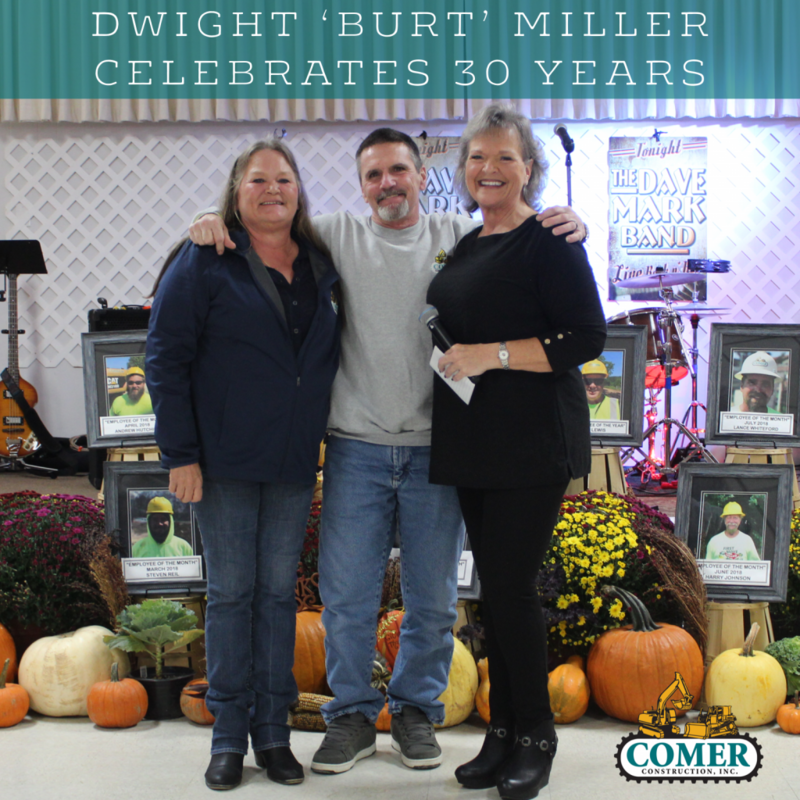 Today, we're celebrating Dwight “Burt” Miller and his 30 years with Comer Construction. Burt serves daily as an Estimator with our Comer Construction Team where he prepares project estimates, performs and maintains the field audit process and assures all estimating activities reflect the standard of excellence for our customers that we strive to uphold daily. 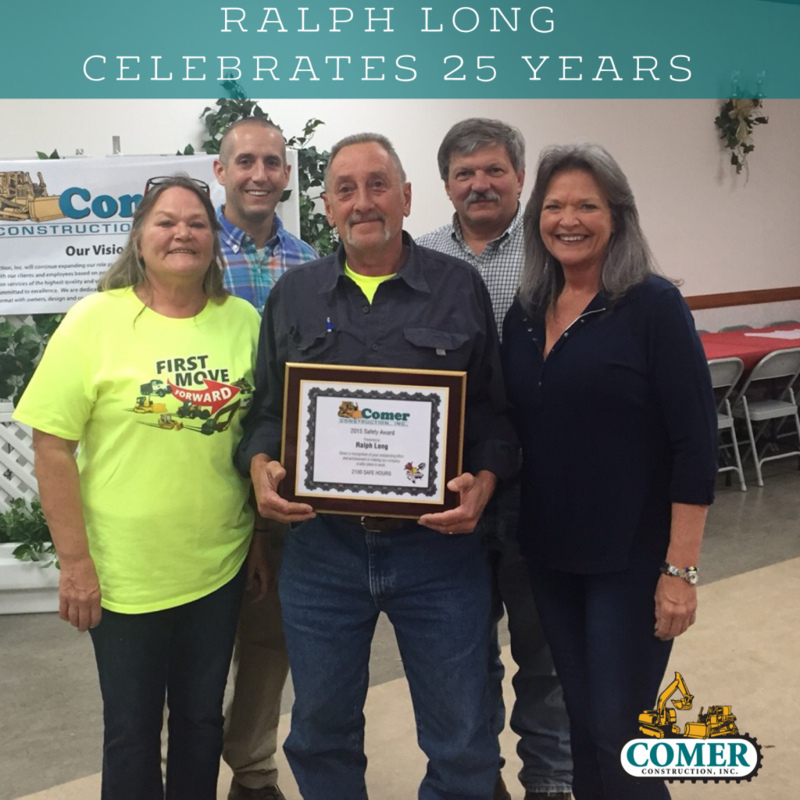 Burt, thank you for your three decades of loyalty and hard work with Comer Construction. We're lucky to have you on the team.